Mike’s Junk Removal & House Cleanouts is the name you need to remember when you’re in need of a professional for emergency junk removal in Morris County NJ or the rest of the Northern NJ region. We’ve been providing service to the local community since 1998 and are based in Clifton NJ. This means we’re well aware of what the requirements of home and business owners are. You want somebody that is dependable both in terms of quality of service and being on time as well as having employees that have undergone significant background checks and are highly experienced if you’re calling someone to perform this kind of service in your house. When you make Mike’s Junk Removal and House Cleanouts your first choice for emergency junk removal in Morris County NJ, these are all things you can depend on. Sometimes junk removal in Morris County NJ is something you need on an emergency basis. There may be various reasons why this is the case, but several reasons are fire and flood damage. The considerable amount of cleanup which is left behind is something a large number of people find totally overwhelming, particularly because these types of events typically occur when they’re not expected. You want effective and punctual assistance in this kind of situation, which is the reason it’s in your best interest to get in touch with experts who are used to dealing with this type of situation. There are many cases when debris is left behind. Sorting through will be salvageable and what won’t is capable of being something a lot of people find challenging. Not only is a significant amount of skill needed for getting rid of many small items, but not everyone has a dumpster that is capable of handling it. Calling our experts means that you’re able to be sure your items are going to be disposed of properly. We’ll even make certain they are recycled when appropriate. When you are dealing with flood damage, you’ll need someone who is capable of dealing with the extra sanitation that will be necessary as a result of the mold and mildew. This an area where we have had significant training however, meaning it won’t be something you’re going to need to be concerned about. If you’re in need of emergency junk removal in Morris County NJ and the rest of the local region, you’ve got to find someone who you can rely on to make your life easier. This is what we strive for at Mike’s Junk Removal & House Cleanouts, which is why so many local business and homeowners continue calling us. When you are moving, it’s capable of being a great help to have a professional service for junk removal in Morris County NJ or the rest of the local region to make your life simpler. This is a service which is capable of being especially useful whether you need someone to assist you in clearing junk out of your old house or help you after you have unboxed all of your new appliances at your new location. When it comes to a broad range of types services, homeowners have come to rely on us. The next time you’re looking for professional junk haulers in Morris County NJ, contact us at Mike’s Junk Removal and House Cleanouts and discover the reason for yourself. The services we provide when it comes to commercial junk removal in Morris County NJ are found extremely helpful by many business owners. Our services aren’t just offered for local homeowners. We serve a broad array of commercial customers at Mike’s Junk Removal & House Cleanouts, which means we have the experience to make sure that your needs are capable of being met no matter what they are. Business owners depend on our services for a variety of reasons, one of which is making certain that their staff is capable of being as efficient as possible. Many business owners who do not have someone they’re capable of relying on for these kinds of jobs find that they fall on members of your team to attempt to deal with these kinds of tasks themselves instead. This is capable of being a bad idea for a variety of reasons. Firstly, when your employees are taken away from the tasks they’ve been assigned, it can mean a loss in productivity or even in some cases having to pay overtime. Possible liability issues are capable of being presented in some cases as well. These should be avoided by any business owner. Even when you think you have the appropriate manpower, it requires more experience than you may think at first to deal with removal of large or heavy items. This can result in an injury, which is something any business owner needs to take steps to make certain is avoided. If you partner with Mike’s Junk Removal & House Cleanouts and let us deal with all of your requirements for cleanout service in Morris County NJ or the rest of the local area, all of these scenarios are capable of being avoided. As a top choice for junk haulers in Morris County NJ or the rest of the local area, assisting you in getting more out of your space is something we specialize in. It doesn’t matter if you own your own home or rent an apartment. Considering the amount that you’re likely paying, it is in your best interest to make certain you’re maximizing your space. At Mike’s Junk Removal & House Cleanouts this is something we specialize in. Areas like attics, garages, and basements offer numerous possibilities, but a lot of times they wind up simply as storage. It’s common for many people to forget what they’re even storing as time passes, resulting in stuff which just takes up space. Imagine what you could do if all of your unwanted junk was removed. Regardless of the fact that many people think about this type of situation, finding that they don’t wish to deal with lifting heavy items or carrying them up or down stairs or don’t have the time to devote to such a project is common. The experts at Mike’s Junk Removal & House Cleanouts are standing by because of this. In terms of helping homeowners like you get the absolute most out of their living space, our experts possess a significant amount of experience. For top quality residential trash removal in Morris County NJ or the rest of the local area, give us a call today and make an investment that will pay off for years to come. When you’re looking for a company offering an incredibly affordable junk removal price in We’re willing to travel to your location and make sure you’re supplied with an estimate that’s accurate and honest. Are you concerned about finding any surprises when it comes time to pay? 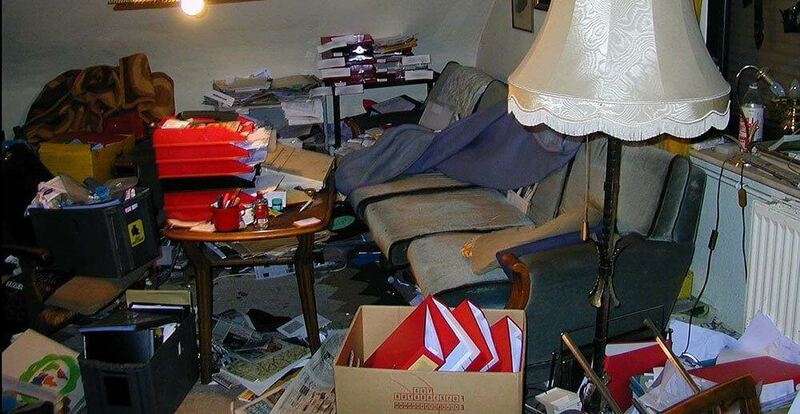 You’re able to be sure of exactly what you are getting into when you rely on Mike’s Junk Removal & House Cleanouts. Give us a call today and make us your top choice for effective junk removal in Morris County NJ or the rest of the local region. Are you unsure about the services we provide and want to find out more? Our experts are standing by to take your call.